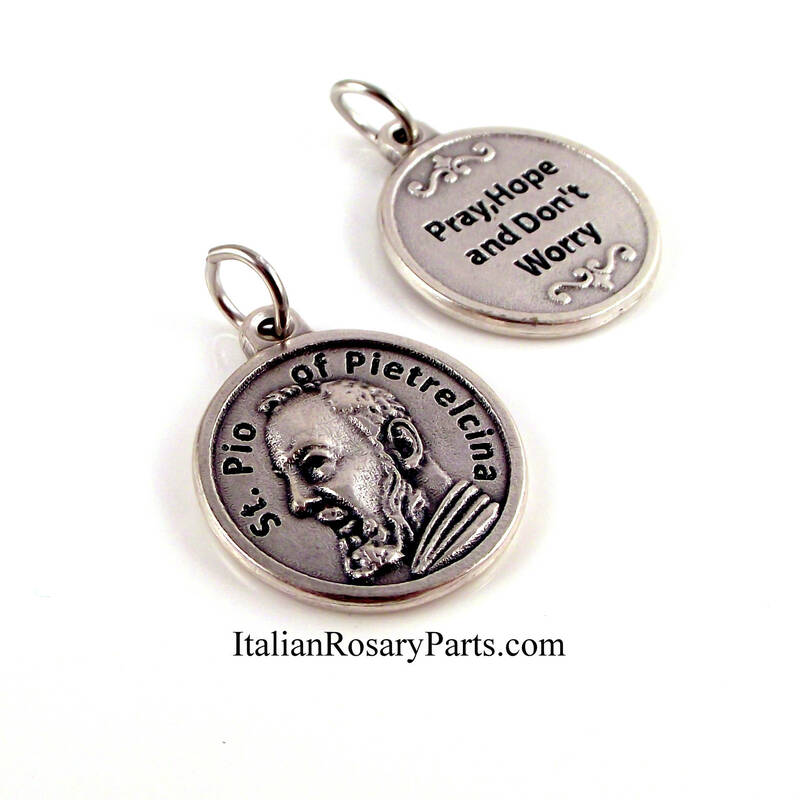 St Padre Pio of Pietrelcina medal. On the back: "Pray, Hope and Don't Worry." Measures 3/4" high. Silver-oxidized metal. Made in Italy. Return customer and they are beautiful medals! Very nice quality, fast ship, thank you!